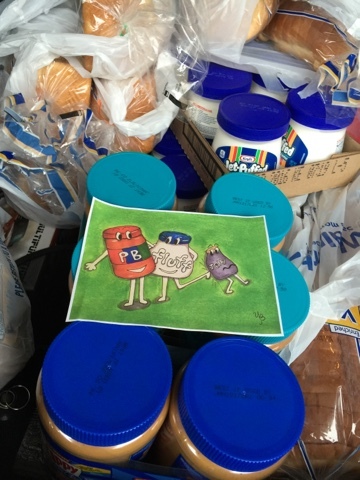 Every year on Christmas Eve, our synagogue, Temple Chai in Phoenix, sponsors a community wide event to make peanut butter and fluff sandwiches for a local food bank that freezes all the sandwiches made. Not only is it a worthy event, it's also fun! There are so many families that participate and we get to meet new families. But the end of the event, we are covered in peanut butter and fluff. We usually make 10-15 loaves worth of sandwiches. Last year, I drew this graphics to commemorate the event. And so this is a Throw-back-Thursday and served as my art prompt for today which is "Christmas tradition". It should be a fun event! I didn't blog yesterday but here is my art challenge piece from yesterday. 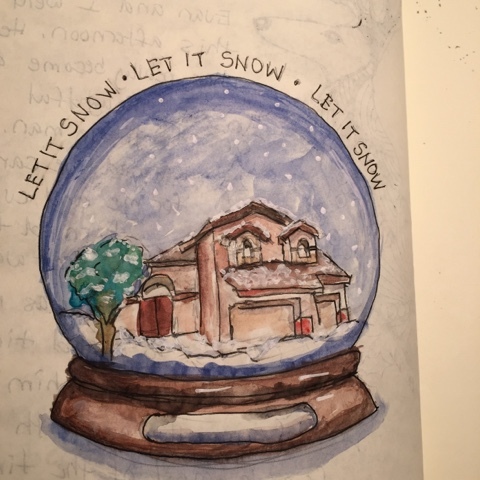 The prompt was snow and I thought the only way our house would ever see snow was if it were encased in a snow globe. That was my inspiration. Can you believe how warm most of the country is? Boston is warmer today than us in Phoenix! Crazy! I love the snow globe - that's the perfect way to bring snow to Phoenix! Your plans for tonight sound awesome. I bet the food banks are so appreciative. Happy Hanukkah! Thank you, Ann Marie. It was a fun evening and always good to give back to the community! Hey Angelcake. 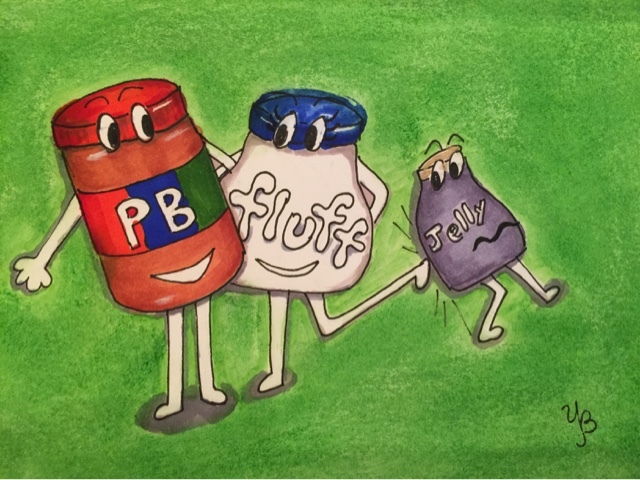 I've decided to be positive today so I'm not going to get into the ickiness of peanut butter and "ack!" fluff! See how good I'm being? I like the snow globe too. We have been getting a lot of rain lately. It's wonderful and much needed and I'd forgotten what it looked like, it's been so long :) .Since I don't celebrate any of the holidays (broken record here), I'm going to wish you a very happy uneventful weekend. You need the rest! Love ya!